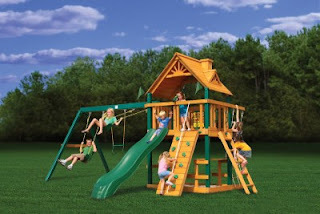 Are you confused about which playground equipment to buy for kids? You are not alone. Most of us struggle with the same problem when it comes to selecting a play set from a wide variety of options. To make it simpler for you, we are here with certain things that you must consider while looking for one for your playground. Material - When looking for play set, the first thing that you must check is the material used in constructing it. Whether it is made of wood, plastic or aluminum, be sure it is strong and durable so that the equipment can withstand the adverse climatic conditions and can stand for years on end in your playground. Quality - Reach out for the manufacturer who has the IPEMA certification that defines it sells only commercial grade playground equipment. After this, ensure that the set you are opting for has been designed in adherence with American Society for Testing and Materials (ASTM) and Consumer Product Safety Commission (CPSC). Safety - Choose the play equipment that has been manufactured after considering all the safety measures. You must ensure that there are sturdy hinges, bars, railing and other necessary anchors at the necessary places in the playground equipment. You can go for Swing-N-Slide and Gorilla playsets, outdoor playsets, who follow all the guidelines and take necessary measures to offer superior quality equipment to the customers.